I am Daniel (aka "DanielTom"), an Economics Student at the University of Porto. In my free time, I like to replay pro (Go) games, edit Wikiquote, learn magic tricks (I know all the secrets by now! ), watch documentaries, go out with friends, listen to music, play the piano or chat online. I also enjoy playing video games and reading. Unfortunately, college takes up all my time! Kids, enjoy playing Go while you can! I am the #1 ranked Go player in Portugal. I represented my country in the 33rd World Amateur Go Championship in China, 2012, and in the 9th Korea Prime Minister Cup World Baduk Championship in South Korea, 2014. 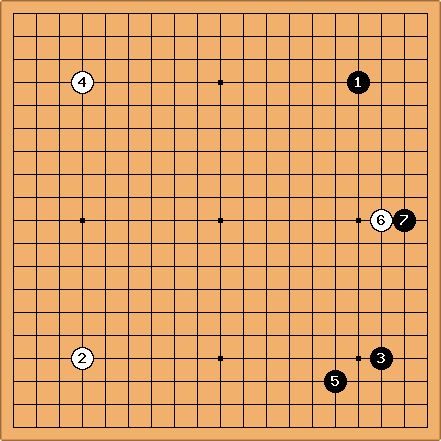 I like to avoid old patterns in the opening by playing moves that may surprise my opponent. That is my joy in Go. "Sneaky little hobbitses. Wicked, tricksy, false!" Yes, new moves in Go and "good" trick plays are fascinating to me. In this I was influenced by Alexandre Dinerchtein. For the record, I am vegan. You may know me as an "expert" on http://gosensations.com/ (meaning I write articles there). Below are two of my best games. I played them over a year ago, in the Korean-style Insei League, against the teachers in Simul (which means they were playing with me and other people at the same time). Enjoy! Phelan: Welcome to Sensei's Library, DanielTom.